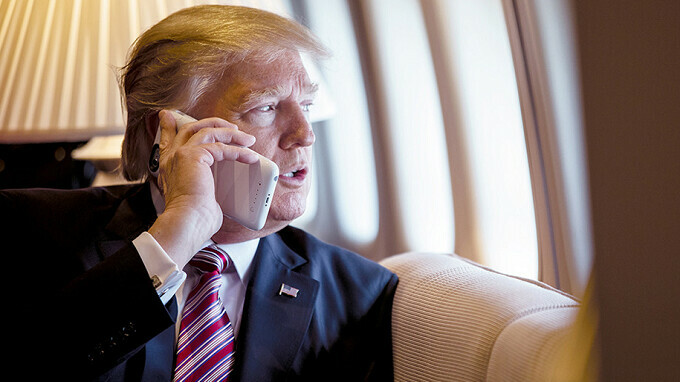 Regardless of your politics, or whether you're a phone nerd or not, it is interesting to see what handsets are being used by the President of the United States. Back in 2009, a newly inaugurated Barack Obama had a very strong BlackBerry addiction, and worked out a deal with the NSA that allowed him to have a special version of the BlackBerry 8830 World Edition for personal use. For secure calls, he turned to a Windows Mobile phone called the Selectra Edge. 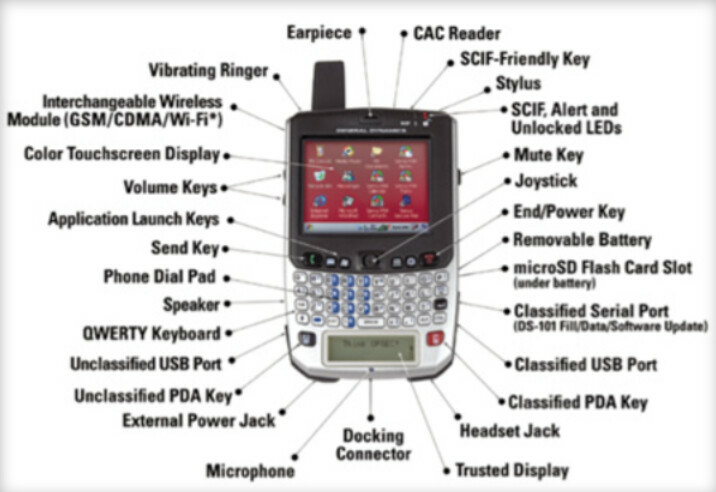 Based on the Palm Treo 750, the device was built to survive a four-foot drop on concrete. It also featured secured ports, and plug-in modules offering GSM, CDMA and Wi-Fi connectivity. A report published today tells us all about the phones employed by President Donald Trump. This information is actually more interesting since he is the first president that employs social media multiple times daily. Trump uses his Twitter account to inform the public and members of his administration what he is doing and thinking about doing. The tweets are sent using an unspecified Apple iPhone model that is loaded with the Twitter app (for iOS, natch), and several news sites which were pre-installed on the device. The second phone used by President Trump is also an iPhone, but this model can only be used to make calls and is referred to as his "burner" phone. Both handsets were given to the president by White House Information Technology and the White House Communications Agency. The latter is an office staffed by military officials who are in charge of telecommunications at the White House. Unlike his predecessor's phones, Trump's handsets feature a camera and a microphone, both of which are not secure. The GPS feature is disabled on both units. Still, several Trump aides wish that the president would swap out his phones more often. One Obama administration official says that while president, Obama turned his phone in every thirty days to be looked over by security officials who wanted to make sure they weren't hacked. While Trump's burner phone is reportedly swapped out regularly, he has gone as long as five months without having his Twitter-capable iPhone examined. Aides to the president would like to have this phone swapped out monthly, but Trump refuses and says it would be "too inconvenient," according to a Trump administration official. A senior official in the White House downplayed the idea that the president's phones might not be secure. He noted that the Twitter phone has security controls that allow it to be used without requiring it to be swapped out on a scheduled basis. Trump does change his cell number from time to time say his aides. And there is always someone nearby the president with a secure device that can be used if needed. Interestingly, personal cellphone use has been banned in the West Wing by Trump's chief of staff John Kelly as a way to cut down on leaks inside the White House. Anyone working in that area of the White House (outside of the president) must store his personal phone inside a locker before heading to his/her office to begin the working day. Those who are concerned about the possibility that the president's phone is hacked might take some solace from the words of a West Wing official who says about Trump's cellphones, "Due to inherent capabilities and advancement in technologies, these devices are more secure than any Obama-era devices." There is truth in that statement. Back in 2013, then President Obama, meeting with a group of youngsters in the White House, told them that for security reasons, he could not use an iPhone while president. A few years later, the head of the free world uses two of them. feel happy for you :) ! He doesn't. He's forced to use it. Pretty sure he was using a Galaxy before his presidency. I thought he was using ZTE headsets jk, obviously he will use Apple headsets because it's an American company. I don't think hacking his phone(s) is necessary. The 'guy' leaked classified information concerning Syria and CIA not long ago. On TWITTER, no less! And if that's not enough; he also revealed highly classified information to Russian foreign minister and ambassador in an Oval Office meeting! Oh well, G'Day! The AMERICAN president uses the smartphone of an AMERICAN company, instead of a foreign one? I'M SHOCKED! This is news worthy! When security matters you go with the best.